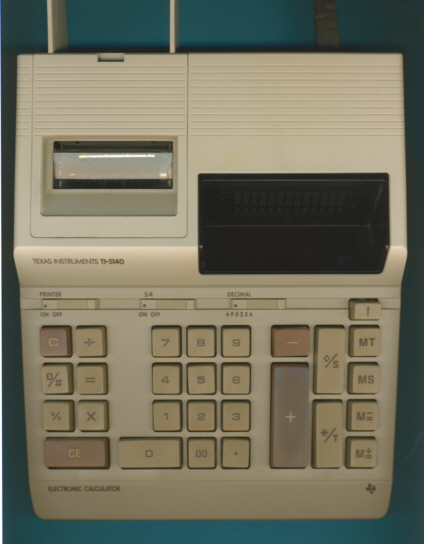 The TI-5140 printing desktop calculator was introduced in 1985 and fits neatly into the TI-5130 series started already in 1981. Dismantling this TI-5140 manufactured in June 1986 reveals a design almost identical with the TI-5130. The main differences are the NEC uPD1231G single-chip calculator circuit and the 12-digit display compared to the uPD1234G chip driving a 10-digit display.